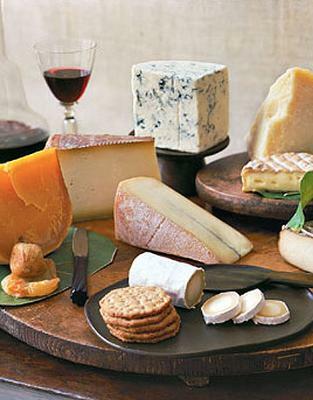 The SA Cheese Festival brings together cheese makers and food artisans from all over the country, giving visitors the chance to taste, eat, drink and play in a festive atmosphere. Explore the country's largest selection of cheese under one roof. Add to this chocolates, Turkish delight, nougat, and sweet or sparkling wines. See Nataniël in the new Checkers Theatre with seating for 250 cheese lovers. Artisan cheese makers using age old methods and lots of patience share this space with special deli products. Fill your basket with nuts, home made preserves, bread, pesto, garlic mustard and award winning wines. The new SA Olive Experience will allow olive enthusiasts to enjoy this ancient fruit in surprisingly innovative ways - buy a tree, or taste the purest olive oils and gleaming black and green table olives, tapenades and even olive jams. Famous food, entertainment, travel and wine icons, with names like Soli Philander, Beyers Truter and Johan Badenhorst, Sarie & Sarie Kos Magazines' food editors topping the celebrity list, will be stirring up a storm in the Cooking Pot. Professional entertainers will encourage kids of all ages to safely shed some of their energy in the Wilde Fruit Juices Kiddies Corner. Teenagers can chill out in the funky Cheese Chiller tent with its theatre and games room. Let your kids experience the journey of milk from the cow, goat or sheep to the table. Taste raw milk as nature provides it and learn from the guardians of tradition at the Worcester Museum how to make butter and cottage cheese the old fashioned way. Experience from fresh oysters, smoked hake and marinated herrings, to shawarmas, exquisite sauces and an array of fine foods. Music will set the atmosphere of an picnic with friends, with farm animals to the one side and the buzz of the festival on the other. This entitles you to a shopping bag, festival programme, tastings and inspirational demonstrations by some of South Africa’s top food icons. * NO TICKET SALES at the gates! * Computicket and in Checkers stores. * Senior citizens discount: R70 pp for the duration of the festival. * FREE entry for children 12 years and under. Go early as it usually gets crowded later in the day.